Wechsel Garland aka Jörg Follert has always exceeded, if not dispensed with, the boundaries between track and song. Not so long ago, these boundaries were the subject of discussions that apparently differentiated the music of yesterday from today. In Follert's music, moments of recollection are alive -- sometimes in a fog, sometimes in a clearly defined quote, but the distinction is always blurred, though the difference is always bridged. As a matter of course, Dreams Become Things moves idiosyncratically in the direction of story-telling -- even up to and including pop forms. It is about "doing things differently" -- including using an album release venue remote from well-known label structures. The album is an experiment and a statement at the same time. In fact, this album is also about the end of "having arrived." Electronic music has been experiencing this end for over a decade now. 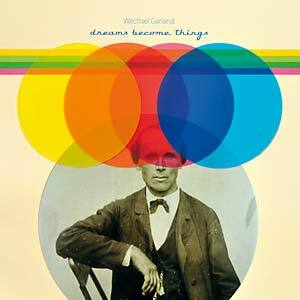 Wechsel Garland's new album is characterized by skilled songwriting, an openness to noise and courageous arrangements. And it sounds like a departure: Where do we want to go, if we cannot stay anyway?